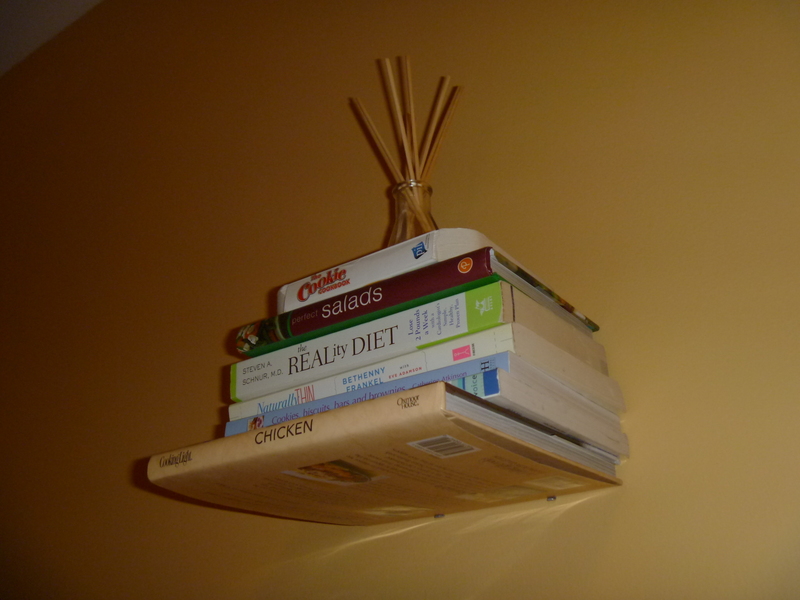 Until tonight I kept my cookbooks above the kitchen cabinets. 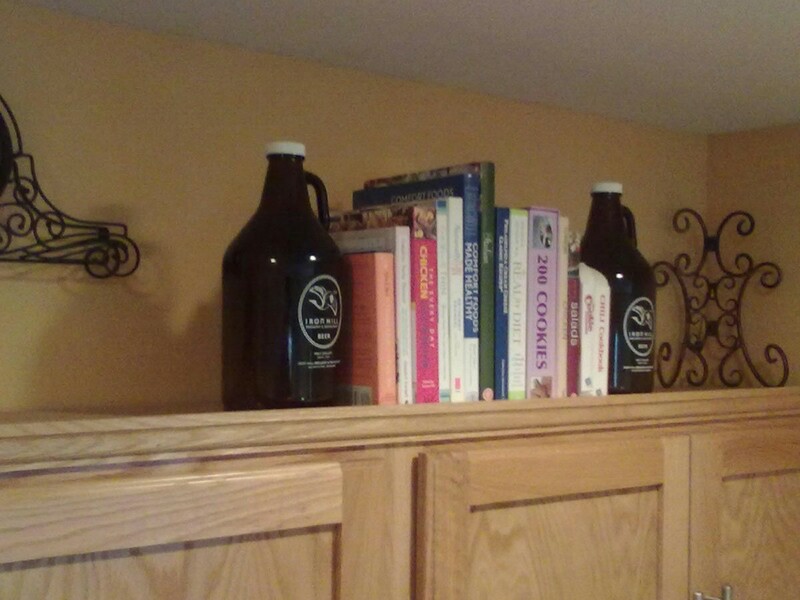 While they looked OK from a decorative aspect, they were impossible to reach without hoisting myself up on the counter. They were practically useless because the location discouraged me from cooking. And I swear, I really do enjoy cooking. 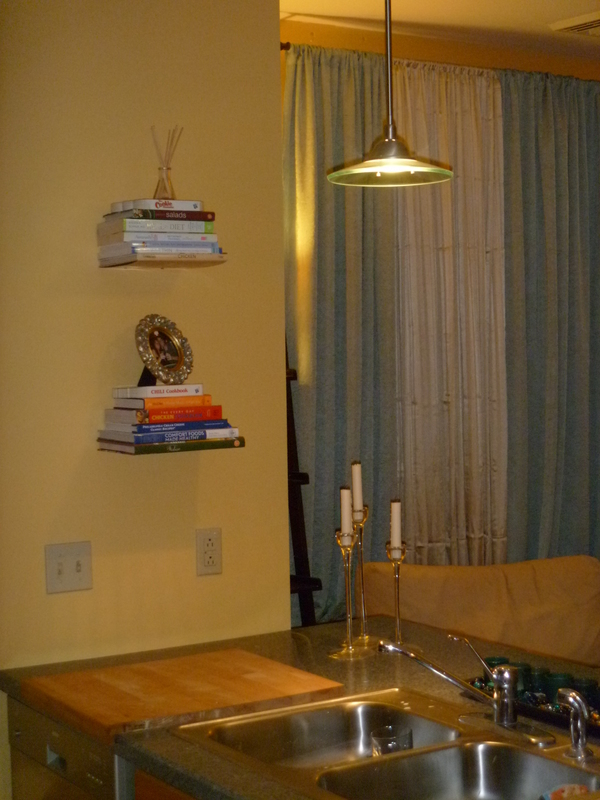 That all changed tonight when I stopped into Hipster Home to pick up a few concealed wall shelves. I’ve been wanting these for a while and when I saw them in HH’s Christmas display window, I knew I could hesistate no more. For only $15 a piece, it is such a cool way to display books. I love the way the books appear to be floating. 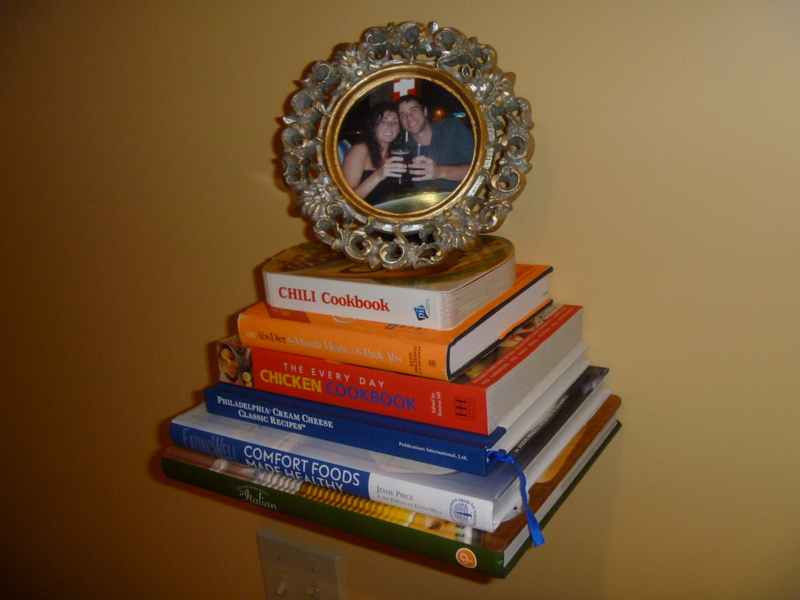 My cookbooks are now easily accessible while still decoratively displayed. They really add interest to the wall. I’m all for a cool painting but this kind of wall art is what really gains attention. Anyone can have a plain bookshelf in their home, but this alternative turns your books into art. 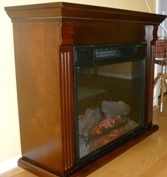 « Can’t wait for wine by the fire!